I’ve been so humbled and honored, lately, to hear the uniquely special stories of the people I get to do life with on a daily basis. Some are acquaintances, some friends, family and even clients. I am equally as amazed at the incredibly powerful sequence of events that each individual is facing. They’re all so different, yet so similar at the same time. Their circumstances, while wildly unique, are perfectly outlining that there HAS to be a God who is orchestrating each and every moment and step they take. A God that not only sees each decision, but has a plan to use it regardless of if it’s the right one or not. In light of this Easter weekend, and what we’re celebrating, I had to stop and wonder what it would’ve been like to stand by Jesus as He was falsely accused. What would it feel like to see Him preform miracles one day and watch Him brutally murdered the next? Would I have had a part to play? It’s easy to demonize Judas for his betrayal of Jesus, yet it was One decision, one moment, that changed the course of history forever. His one decision changed the story. Peter had a decision to make, also. In those fleeting moments as his dear friend was betrayed and headed for the cross, Peter decided to portray that he never even knew Jesus. Wild! What would it have been like to deny Him while He was so real? The Messiah. While it’s seems moronic that two of Jesus’ closest and most loyal followers would choose to betray him, I wonder what I would’ve done. As the authorities arrived to take Jesus away, the crowds against this man, chaos and deception everywhere, would I have been “overwhelmed” or “anxious” choosing the easier route? Choosing to turn away from Him? It was just one decision made. Just one. As I reflect on this story, I’m reminded that each moment we walk through in life leads us to make a decision. I wonder if the Bible were written, with my life and decisions featured, what character would I play? Would my one decision change history? I’m challenged tonight, to be mindful of each decision I make. The Jesus that walked amongst Peter & Judas is alive and walking with us every moment of every day. He’s more real than life itself. Allow Him to effect how you walk out each day, remembering that each decision you make matters. Your Story Matters. The incredible part is that we know the end of the story!! We know that the battle is won and we can face each day victorious. Be encouraged, as you face decisions in life, that God’s plan will prevail. You’re never too far gone. Never too hurt. Never too messed up. His resurrecting power is in you, friend. 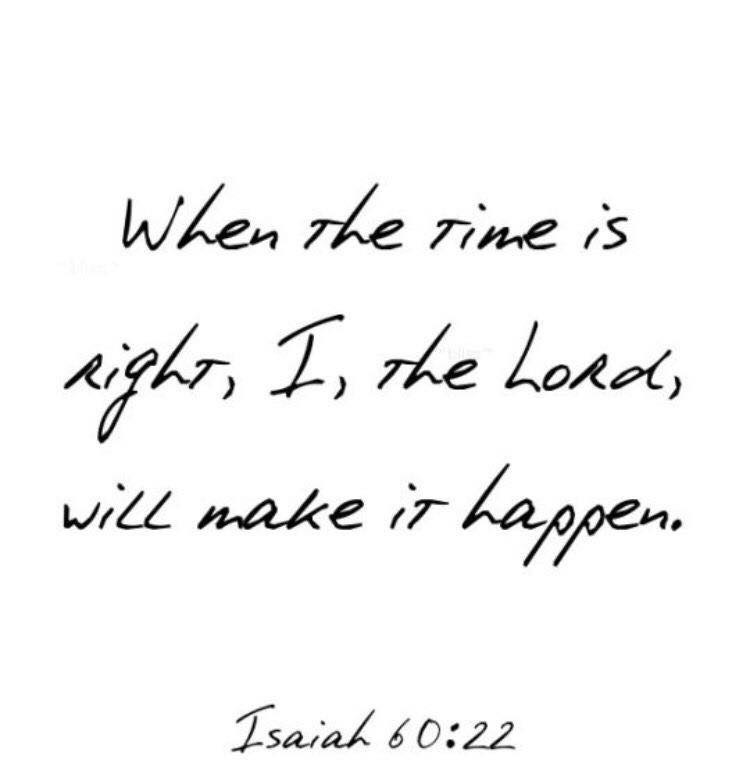 What if God’s the one waiting…? You never cease to amaze me….